Blog Quick Quotes: Birthday Memories + Giveaway! Today's project features the Cupcake Bag o' Chips! 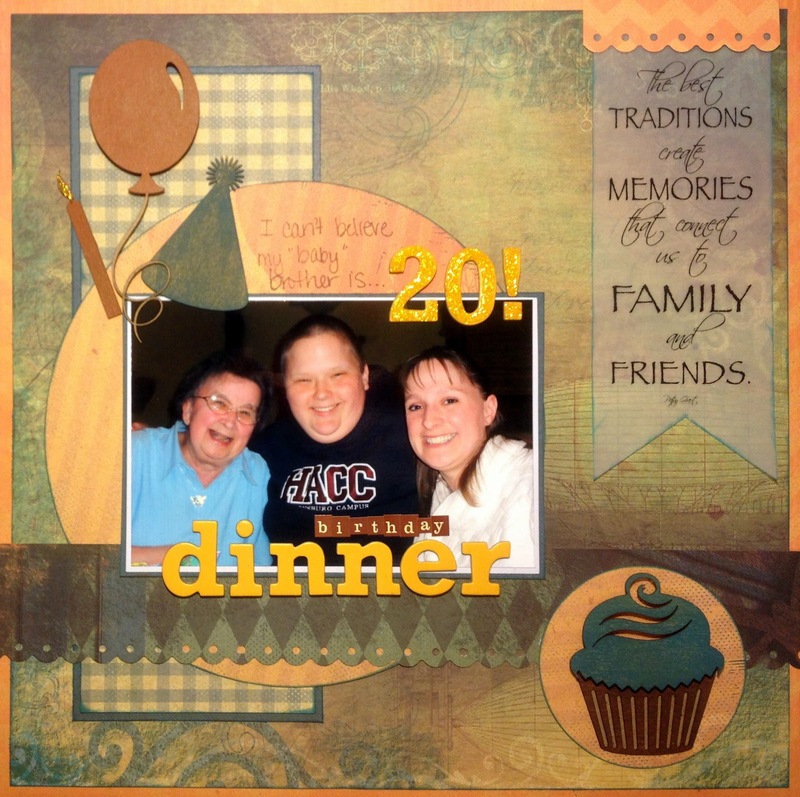 Suzanne here with a layout to share. I used the new Tin Type collection, along with our featured chipboard laser die cuts! 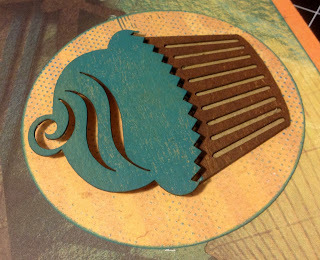 I used the Cupcake "Bag o' Chips" laser diecuts to bring in the birthday theme. These are SO versatile because you can ink them, paint them, emboss them, cover them with paper.. the possibilities are endless! I used the Baja Blue and Mango Mai Tai Powderpuff Chalk Inks to color them. The balloon is popped up on pop dots and the candle flame is glittered for added detail. recommend a shape you would like!!! I really like the cupcake! very nice lo. well done. i tend to do mostly holiday themed projects, so i guess any holiday dies are my favorites. Great Layout! I love the here comes the sun die-I have some pics from the beach I need to scrapbook and those dies would be perfect! Those chipboards are so much fun!! love how you used them! Any shape tea-related! Tea cups, pots, and doilies are definately what you'll find on my pages! I love your project:) I would have to say die cuts I like are birthday ones or like Jan said i like little girl tea parties and cuts for that would be awesome. Such a wonderful page Suzanne. You have inspired me to check out my collection of chipboard die cuts. I think my favorite are butterflies and flowers. Oh, and hearts. Great page and I love the Traditions quote. The cupacake and ballons are cute, but I love rings, gears,circles, unusual shapes and doilley designs the most right now. Thanks for sharing. Really great LO! My favorite die cuts are at opposite ends of the creative spectrum: lacy, swirly and grungy gears & clocks! Does that mean I cannot decide on my personal style or I just like to keep everyone guessing? Great page! I love the bird diecuts you featured yesterday. 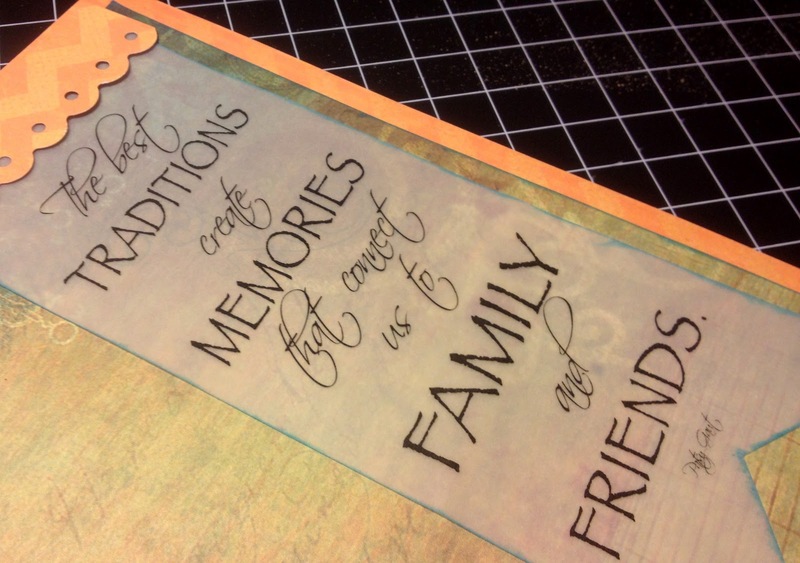 The diecuts I like best are flourishes that I can use on any layout that I need something extra for. Wonderful layout. Love the colors. I too like gears. I like chic & shabby cuts and would love to see more hard to find cuts like a fairy or the sewing torso. What a cute layout!!! I love how you used the die cuts!! I think clocks and gears would be a lot of fun to play around with! Oh wow, this is darling...love that cupcake! Great cupcake cut. Would love to see fairies. I love them.